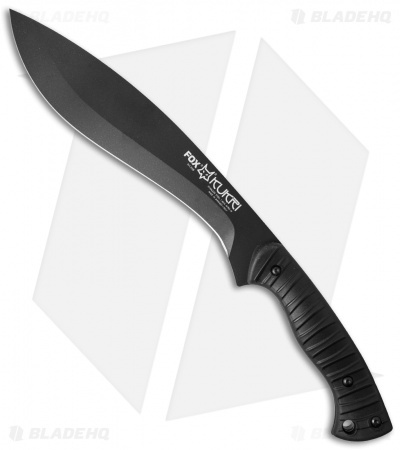 The Kukri is a time-honored blade shape that has proven itself in utilitarian and combat roles alike. 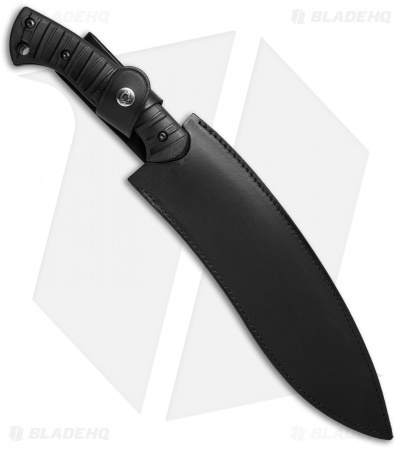 Fox Knives' Kukri is built for either activity and is made to ensure comfort in hand, even with prolonged use. It includes a leather sheath for belt carry. My first Fox knife and I'm impressed- high quality with a good feel to it. Despite not being a 'traditional' kukri, I think it will do well in a wide variety of roles. Looking forward to using it. Two thumbs up for fox!! This is not my first Fox Kukri for a reason. Fox products are 100% top notch. Fit and finish, perfect! Some of the most comfortable handles designed for long periods of use. I love their choice of steel they use on there knives and tools. This is my first blade made of nitro b. So far, amazing. Still super sharp after hardwood chopping. No rolls, no dents or chips. I will definitely be purchasing more Fox products because they have been amazing so far. I wouldn't hesitate to buy this if your looking for a camp knife of such high quality for a 100$. In my own opinion nothing out there can match this blade at the same price.